A platform built to enable the success of your Anesthesiology practice. Kareo is the only cloud-based, clinical and business management platform designed specifically for the unique needs and built to enable the success of Anesthesiology providers. The platform can be accessed with a single module purchase or through a combination of modules to create a customized solution tailored to the needs of your practice. Reduce data entry and improve workflow and revenue with fully integrated systems. With over 150 customizable templates, the ability to create templates, and an intuitive interface, Kareo EHR is a great fit for any specialty. 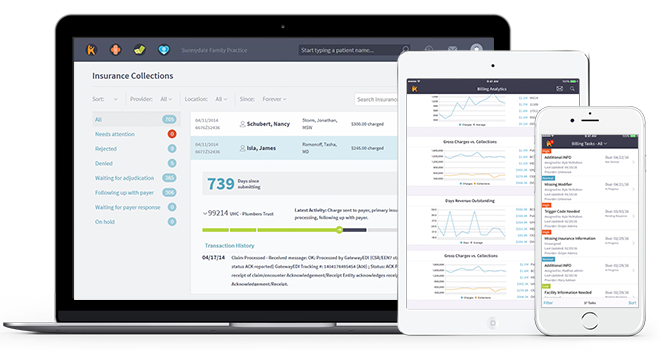 Easily manage and track all commercial, government, and patient billing. See how simple and fast it can be to create patient encounter notes. Complete and submit an accurate superbill in just a few clicks. Save time and eliminate phone calls for you and your staff with electronic prescribing. Automate inefficient paper-based processes and save time. Share important information and communicate with patients at any time. Use our intuitive dashboard to manage tasks and customize your calendar. Send a quick message to anyone in your practice, your billing team and even your patients. Kareo is ICD-10 compliant and has tools to help your code correctly. Meet a high standard for maintaining and sharing confidential data. A strong online presence and positive patient reviews will help you rank high on Google searches. This means more new patients for the practice. Your Provider Profile allows current and new patients to schedule appointments directly. This saves time for the patient and practice staff. Get post-visit feedback from patients and use those positive reviews to boost the image of your practice online. Ensure patients feel valued and keep coming back through helpful communications. Retaining patients is the most cost-effective way to keep your practice thriving. Get visibility into the health of your practice with our performance dashboard. 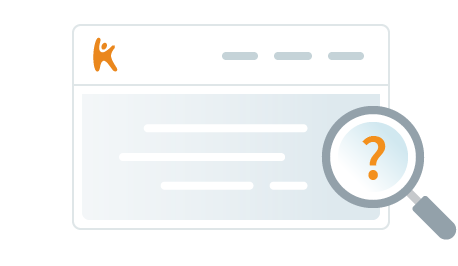 See how Kareo helps you run a more efficient practice. Get a clear picture of your practice schedule and tasks to complete. Quickly enter patient data, upload documents and verify eligibility. Customize your schedule, manage patient alerts and send appointment reminders. View and enter charges directly in Kareo and never miss another charge. Ensure you get paid with advanced claim processing, tracking tools and features designed to help you stay on top of your patient A/R. Understand your billing performance and avoid surprises using our analytics. Built in secure messaging allows you to securely communicate with your biller, patients and employees. Schedule with ease and confidence. Built in eligibility verification helps reduce denials and the work that denials require. Our nationwide billing rules engine with automatically flags claims issues before they leave your office. Monitor where all your claims are, what their status is, and what is being done to get you paid. Don’t let billing tasks add up and slow you down. Streamline your day by managing all your billing tasks in one, easy-to-use inbox. Track your productivity and billing performance. We measure your key performance indicators so we can actively look for ways to find your practice revenue. Kareo offers a variety of pricing options to support your independent practice. Click on a module below to get started. Plus a dedicated Kareo Success Coach to help you get off to a good start. "Kareo will help you do what you do best and that’s getting back to helping people"
"Kareo is user-friendly and easy for your clients to use too." "Everything is so easy to access and so easy to see"
If you need more help to decide what services and solutions you need to meet the challenges of running an independent practice, see some of these other resources. There are a hundred ways to streamline workflow and improve revenue in a medical practice. It’s hard to pick just a few, but this guide provides three strategies to increase revenue by 25% - and they cost almost nothing to implement! Patient due amounts are an increasing portion of practice A/R. Learn five steps to improve patient collections now. Browse these short videos, to get an idea of how Kareo Clinical works, and what's make it better than the rest. Kareo Clinical is surprisingly easy to use. Let us show you how easy it is to write notes and prescriptions, code encounters, and manage patients in our fully integrated, cloud-based EHR. Browse these short videos, to get an idea of how Kareo Billing works, and what's make it better than the rest. With Kareo Billing, there’s no better software to support your in-house billing process. Browse these short videos, to get an idea of how Kareo Managed Billing works, and what's make it better than the rest. An intuitive, easy-to-use, cloud-based platform designed for billing companies and the practices they serve. Browse these short videos, to get an idea of how Kareo Marketing works, and what's make it better than the rest. With Kareo Marketing, you get automated marketing and front office tools to help you build your brand online and connect with patients.